The hall is available for hire. We also have a PA system and projector available , scroll down for details. The room for hire is 4.50m x 6.60m and the cost is £6 per hour. Please first check the Calendar Page to see if the room is available on the date you require. booking form and send it to bookings@silverdalevillageinstitute.org.uk. Or ring 01524 702617 to discuss your requirements. You are assumed to have read and understood the rules for hiring the Institute as set out on our web site www.silverdalevillageinsitute.org.uk. We use a key safe for the keys to the Instiute. Instructions will be sent out on receipt of completed booking form. Payment can be made by cash or by cheque made payable to Silverdale Village Institute c/o Dr.A.Finch, 48 Emesgate Lane, Silverdale, LA5 0rf. Alternatively payment by bank transfer is possible, details available by request. 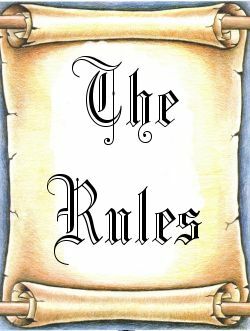 These rules are also available as a doc file and pdf file. Room rent ( includes field ) £6.00 per hour . Room hire to be payable to The Silverdale Institute. Nothing can be stored in the building without permission. The room (s)must be left in a clean state for the next hirer. The kitchen must be left in a clean state for the next hirer. Keys are the responsibility of the user group or hirer and should not be used or given to anyone else. Regular user groups must have their own public liability insurance. If the keysafe is used to obtain the keys. the keys must be returnedto the safe as soon as the session has finished. there will be a £15 charge for keys that are not returned. – Hitachi Ultra Short Throw projector 2200 lumens for displaying from a laptop. We can provide someone to set up.